The Defense Department is falling behind on requirements to cut its headquarters offices, according to a new audit, and appears to have no clear understanding of how much its cost-reduction efforts to date have actually saved. 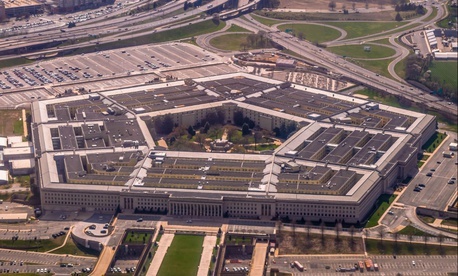 A provision of the fiscal 2016 defense authorization law required the Pentagon to slash $10 billion from its central offices by cutting staff, reducing management tiers and eliminating low-value functions, but the Government Accountability Office found in a report this week the department’s plan submitted in May had only identified $9.2 billion in savings that will take effect by the fiscal 2019 deadline. Lawmakers specifically required Defense to cut 25 percent of its spending at headquarters offices, but the department has never produced an adjusted plan to reach that threshold. Previous GAO reports have found that Defense is making progress in cutting its civilian workforce, slashing 40,000 employees between fiscal years 2012 and 2017, but the Pentagon was not attempting to ensure the reductions were actually promising any savings. In this week’s report, the auditors said Defense officials explained that $5.3 billion in the savings they have identified are not auditable. In its May update, the Pentagon said at times it had slashed $5.3 billion in costs for its fiscal 2019 deadline and in other portions referred to $8.25 billion. At another point of the report, Defense said it had cut $7.3 billion to be realized by fiscal 2021. GAO said it could not verify that amount and the department’s own math did not add up to that figure. Defense officials “acknowledged these inconsistencies” but said they had no explanation for the discrepancies. They told GAO they saw no value in fixing previous accounting issues, focusing instead on future efficiency efforts. Lawmakers have also required the Pentagon to reallocate before fiscal 2018 at least half its $10 billion in savings for more pressing spending needs. Defense has only programmed $2.3 billion to date, GAO found. The Pentagon could run into further trouble in the coming months as it attempts to reach its required cut thresholds. Jay Gibson, Defense’s first-ever chief management officer, is overseeing the initiative and delivered the update to Congress earlier this year. Gibson is reportedly held in poor esteem by Defense Secretary Jim Mattis, however, and Gibson's departure is expected to be imminent. Gibson is in the midst of leading a separate effort to cut by 2021 25 percent of spending on departmentwide activities such as logistics, human resources, services contracts and real property management. Robert Work, who served as deputy secretary of Defense from 2014 through the opening months of the Trump administration in 2017, recently told Government Executive the department was on pace to reach the headquarters cuts when he departed but had only just turned its attention to the back-office activities. The cuts were only formally authorized in the fiscal 2019 defense bill President Trump signed into law in August. Work criticized the arbitrary nature of the cuts and noted the targeted agencies had already been slashed during sequestration. The Defense Department declined to comment on the report.